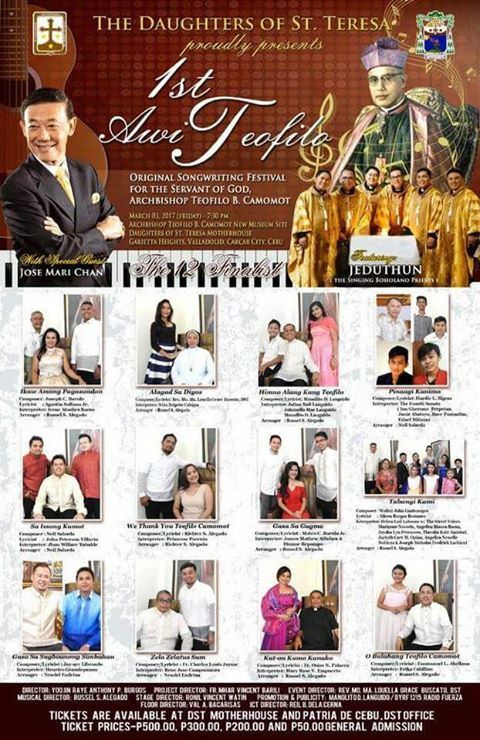 CEBU, Philippines – Organizers are now busy preparing for the first songwriting festival that seeks to recognize the deeds and virtues of the late Archbishop Teofilo Camomot, the Cebuano prelate who is a candidate for sainthood. In a press conference the other day, the organizing committee shared plans and preparations for the first AwiTeofilo and also announced the 12 best songs selected from 22 submitted entries. Related Stories Father Mhar Vincent Balili, the event’s project director, told reporters that proceeds from ticket sales will go to buying the property where a museum for Camomot will be built. Mother Ma. Louella Grace Buscato, the event director, said the evening event will be held at the newly-developed museum site situated beside the motherhouse of the Daughters of St. Teresa in Barangay Villadolid, Carcar City. 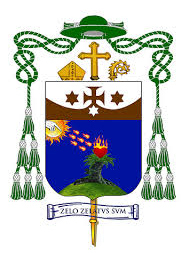 Buscato is the mother superior of the religious congregation, which was founded by Camomot who is a Carcar City native.